When it comes to looking after our eyes, most of us know that our diets and lifestyles are important. Both the food we eat and keeping fit helps our vision last longer. However, many people are not aware of the crucial role our environment plays in preventing or promoting eye disease. Factors including sunlight, air pollution, and weather conditions can all have an impact on our ability to see clearly. 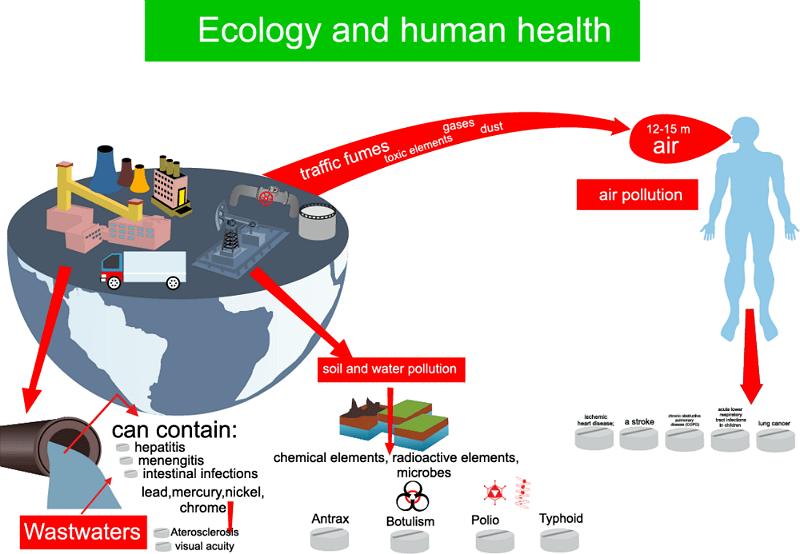 In this article, we discuss how and why environmental problems may occur. If you live in an extreme hot or cold environment, the weather is likely to be affecting your eyesight to some extent. Hot, humid conditions are a perfect breeding ground for bacteria and flies to multiply, increasing the risk of disease occurring. Trachoma is an infection of the eyes, mainly seen in developing countries. It causes scarring of the eyelid, and a distortion of the eyelashes. The deformed eyelashes then repeatedly scrape the cornea, leading to opacities and eventually blindness. Humidity, along with inadequate water supplies and poor sanitation have been shown to increase the likelihood of trachoma spreading. Cold weather and harsh winds can also result in eye problems – temperatures of less than 30 degrees farenheit often lead to dry eyes, discomfort, and irritation due to insufficient tear production. In recent years, ozone depletion and stronger rays of sunlight have been linked to a greater chance of developing cataracts, while separate research confirmed that sun damage is an important risk factor for malignant melanoma of the eyes. Other scientists discovered that solar radiation in combination with air pollution could be particularly hazardous, causing an oxidative reaction which contributes to a number of different eye defects. Luckily, sun damage is one of the easiest problems to prevent – simply wearing sunglasses with an appropriate UV rating helps to protect vision and massively reduces the potential for any damage to occur. Awareness of eye issues caused by indoor and outdoor air pollution is thankfully on the rise, with researchers focusing heavily on this subject in recent years. Air pollution is now accepted as being linked to numerous eye conditions, ranging from minor irritation to cataract formation. Smoke produced from stoves used in cooking and heating causes a range of health problems including cataracts, and results in a greater risk of eyesight opacities. Even seemingly minor pollutants such as household dust and makeup may lead to an increase in redness and inflammation of the eye area. Outdoor air pollution also has a negative effect, especially in cities. Eye discomfort and irritation are common symptoms, due to gases, chemicals, and other airborne particulate matter. In India, air pollution in Delhi is thought to be responsible for a large percentage of the population suffering from dry eyes. It is important to know that Tobacco smoke in all environments negatively effects eyesight. It is known to cause age-related macular degeneration, cataracts, and also increases the chances of developing allergic conjunctivitis by 20%.